Although I’ve spent years and much of my childhood traveling to Pinehurst, NC for golf, it’s only been in the last year that I played Pine Needles. 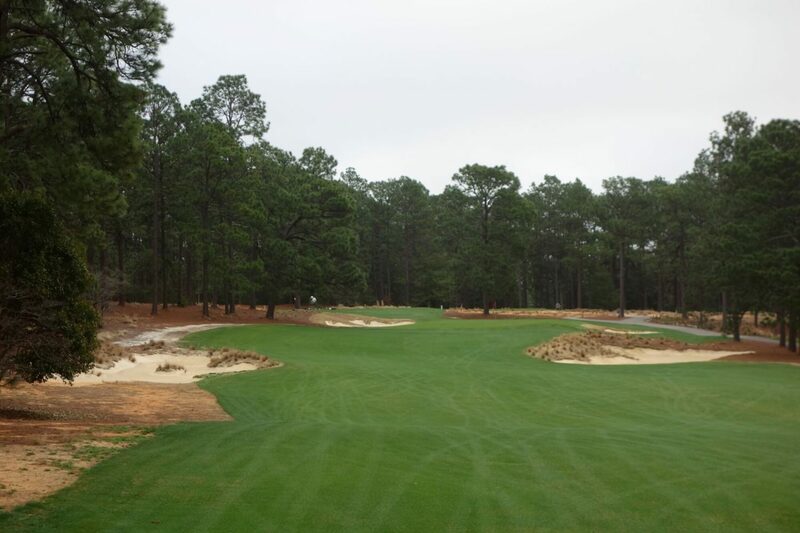 Unlike sister course Mid Pines, I don’t have memories of Pine Needles prior to its most recent renovation and it’s always been the course that barely slipped off the itinerary, always being shoved to the next trip. 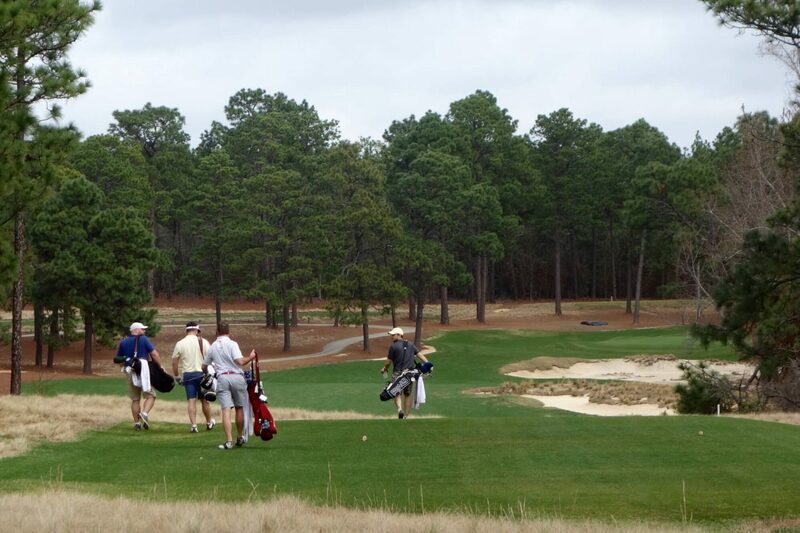 My last two trips now I’ve played Pine Needles and I’m sure it will be on my next trip as well. 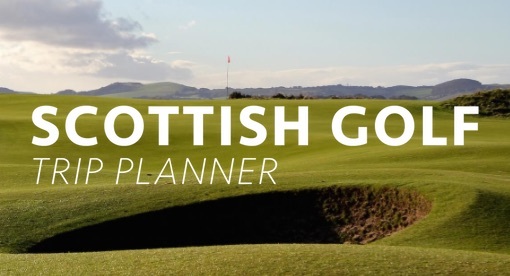 The course is a 1927 Donald Ross design that in the late 1940s was purchased by the golf legend Peggy Kirk Bell and her husband Warren. 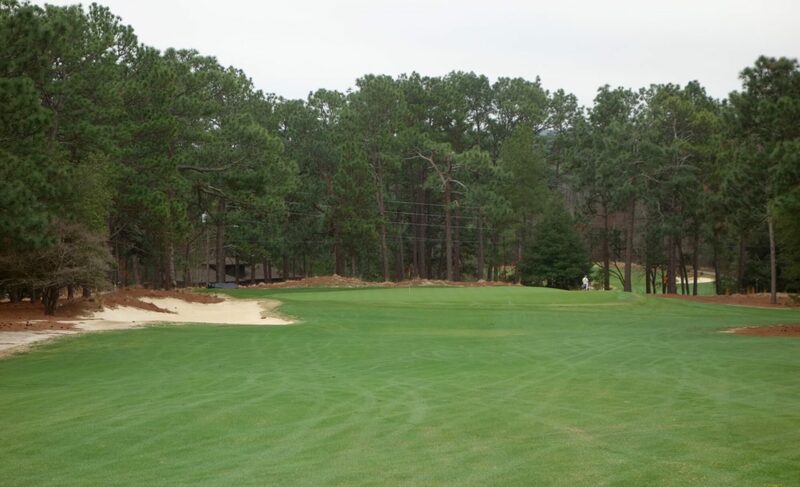 The couple built the Pine Needles Lodge and turned the property into the resort we see today. 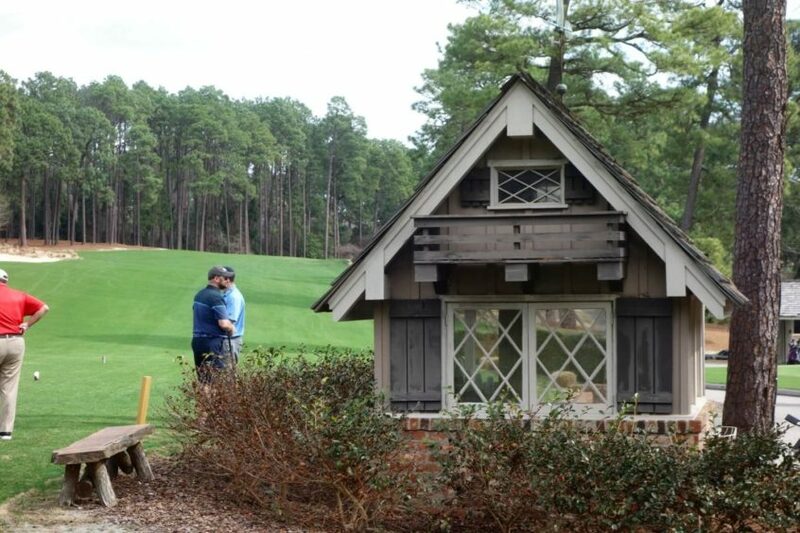 In some ways, the vibe is very similar to what you’d expect in a 1960s lodge – everything at Pine Needles feels a little old school, a little retro, and it all works really well. 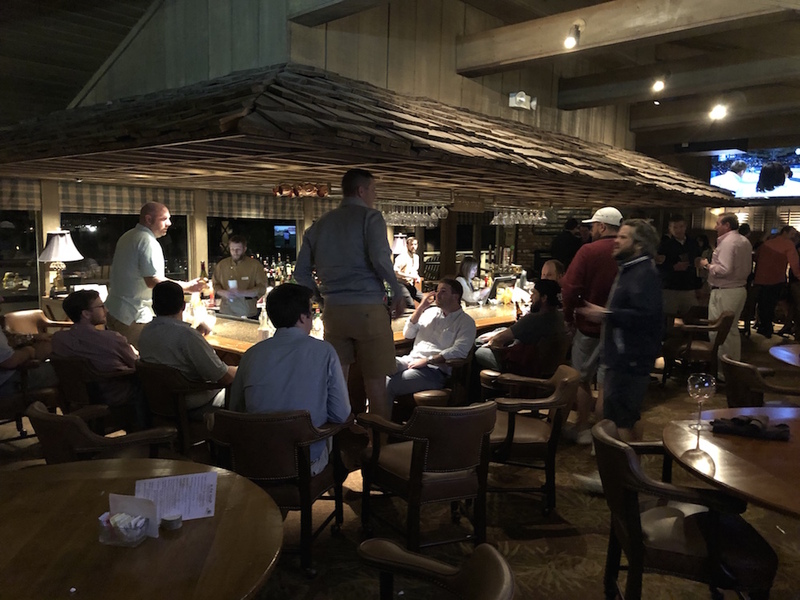 There’s a lighted putting green outside of the lodge, a large practice center, and a nice village feel to the whole place. 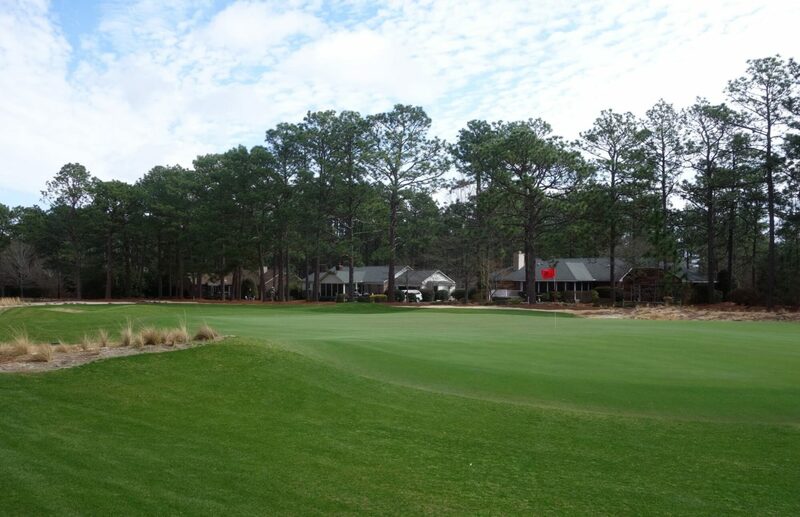 The course and lodge (as well as Mid Pines) are still owned by the same family today, although now led by Kelley Miller since the passing of Peggy. 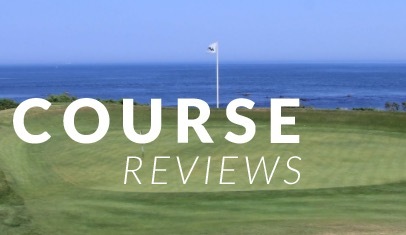 Miller has update the properties in numerous ways, but most importantly, he’s put a lot of work into the two courses. 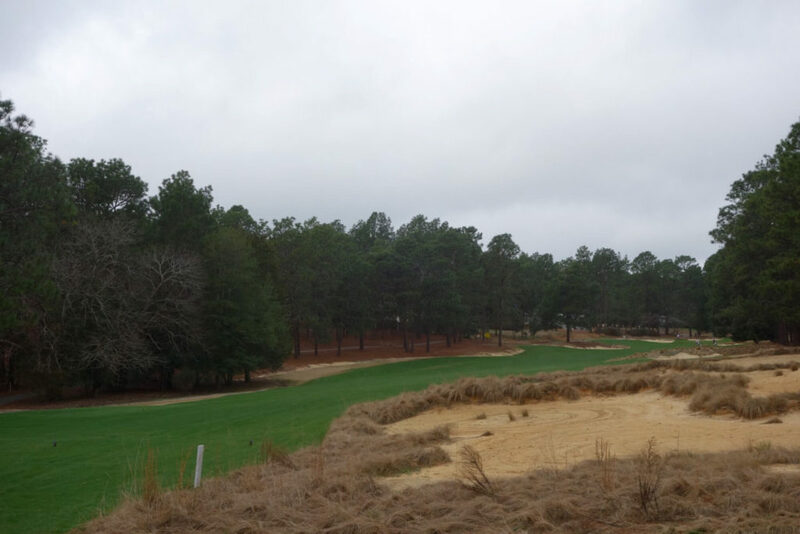 Following the renovation of Mid Pines in 2013, Miller hired Kyle Franz to give the same treatment to Pine Needles in 2016. 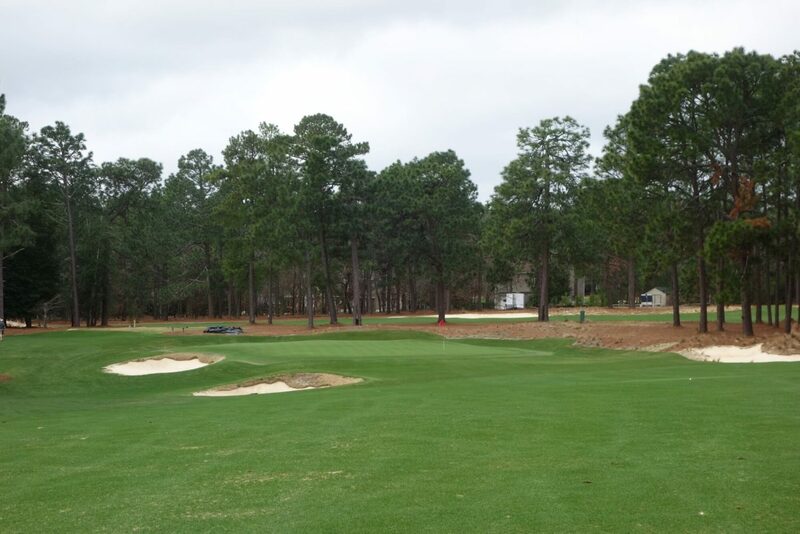 Franz rebuilt the greens and reconfigured the bunkers to give Pine Needles the same natural “retro” Ross feel as the course across the street. Both courses now share much of the same character and Pine Needles has maintained its championship feel. 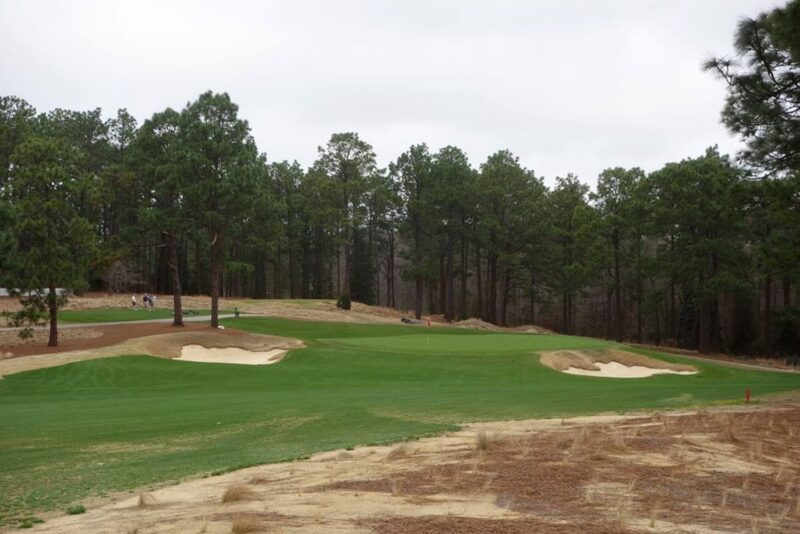 Among other championships, Pine Needles has hosted the U.S. Women’s Open in 1996, 2001, 2007 and will again in 2022. With Peggy Kirk Bell’s prominence in the women’s game it’s fitting that the biggest women’s event continues to visit the property. 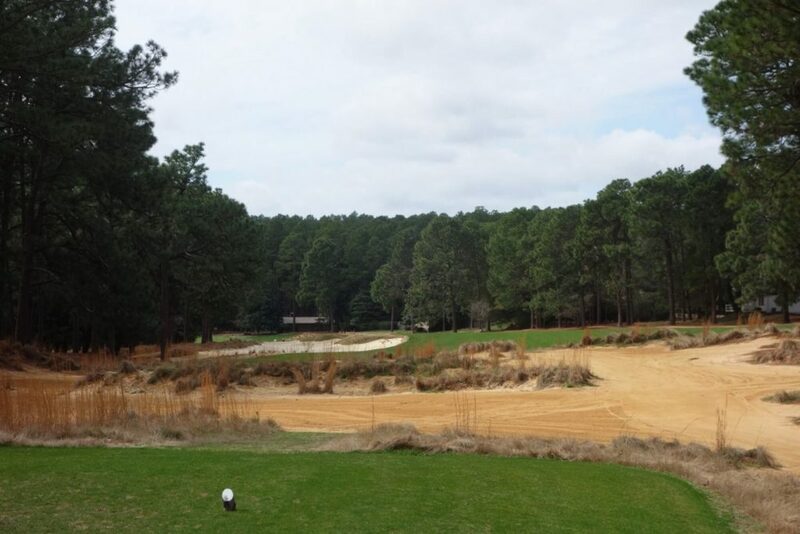 When compared to Mid Pines, Pine Needles does feel like the championship course option. 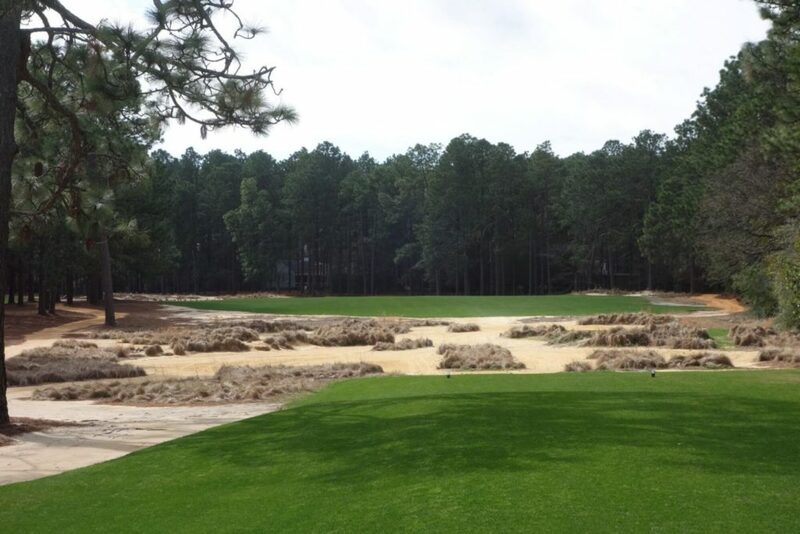 It is longer, bigger in scale, and generally feels more like a tournament course. The feeling though, is why I like Mid Pines more. 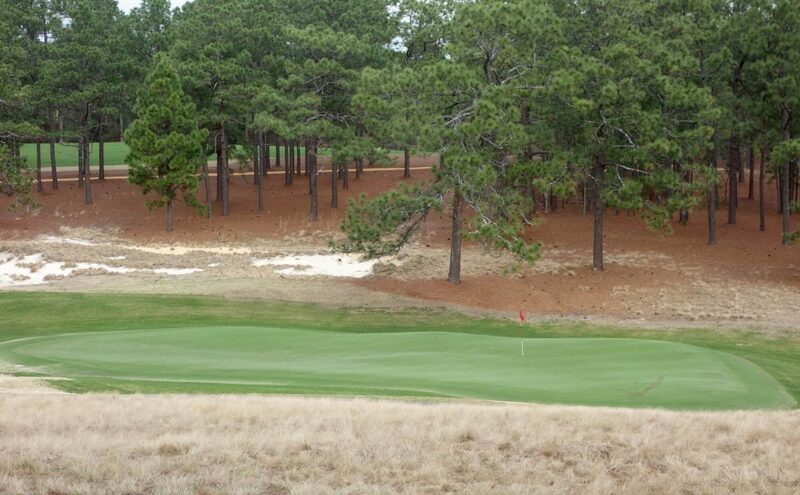 I like the charming and intimate feel of Mid Pines with its tight routing and great land movement. Many others prefer Pine Needles, and the best part of all is that the same property has two sister courses that offer two different experiences. 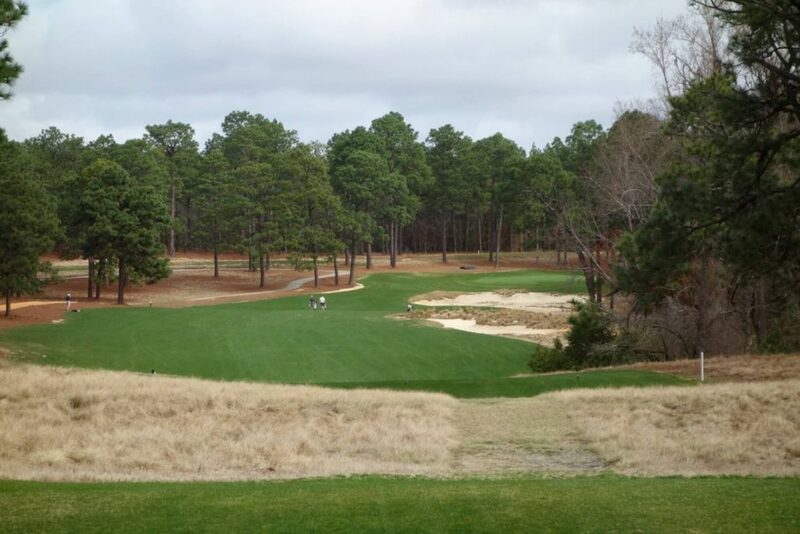 If I had 10 rounds to play between the two, I’d play seven on Mid Pines and three on Pine Needles. 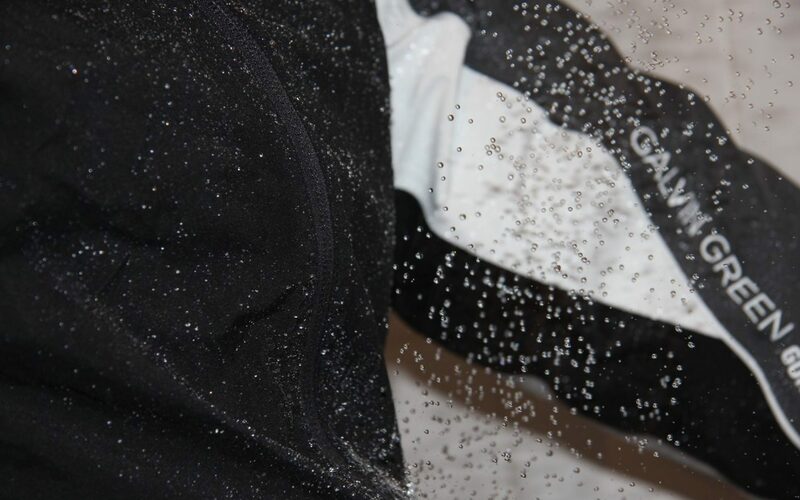 Others in our group said the exact opposite – that speaks to the strength of both designs. 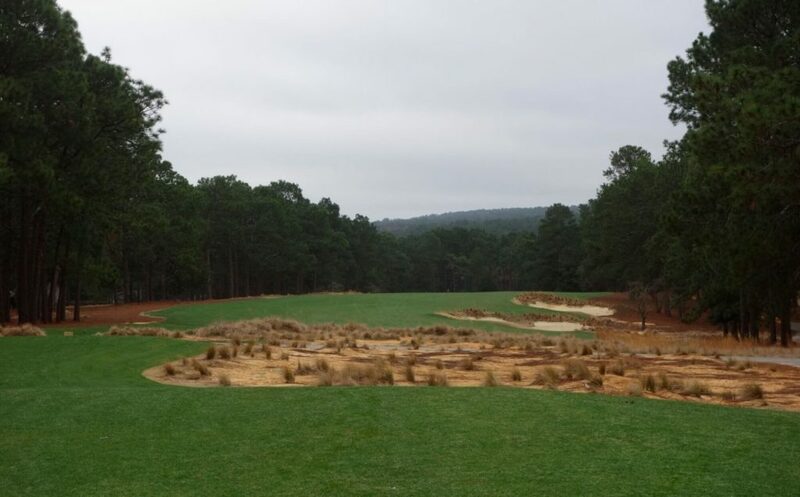 Hole #1 – 482 yards – The short opening par 5 works to the right and a drive down the left leaves the best angle into the green. 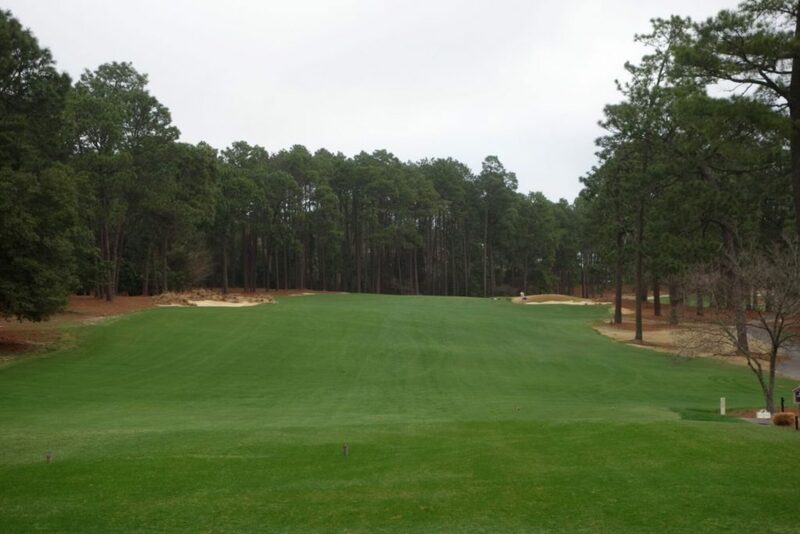 Hole #2 – 438 yards – This straightaway par 4 runs downhill from the crest of the fairway to the green. Balls landed on the front of the green bound to the back. 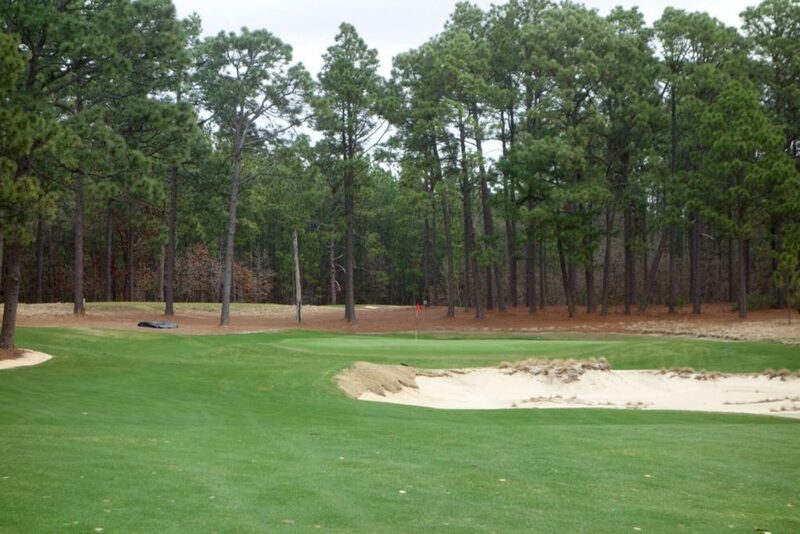 Hole #3 – 135 yards – This classic little Donald Ross par 3 is crowned and runs off each side into bunkers and collection areas. 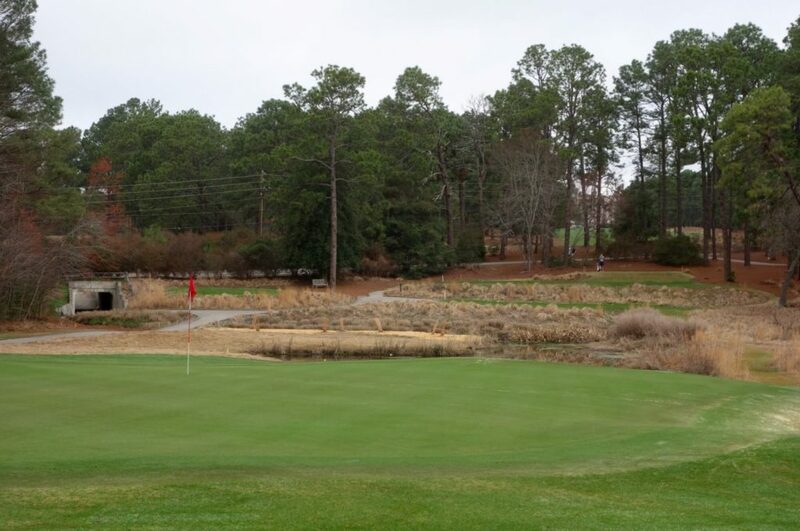 I witnessed a hole-in-one here on our day of play… a pitching wedge that backed up a few feet. 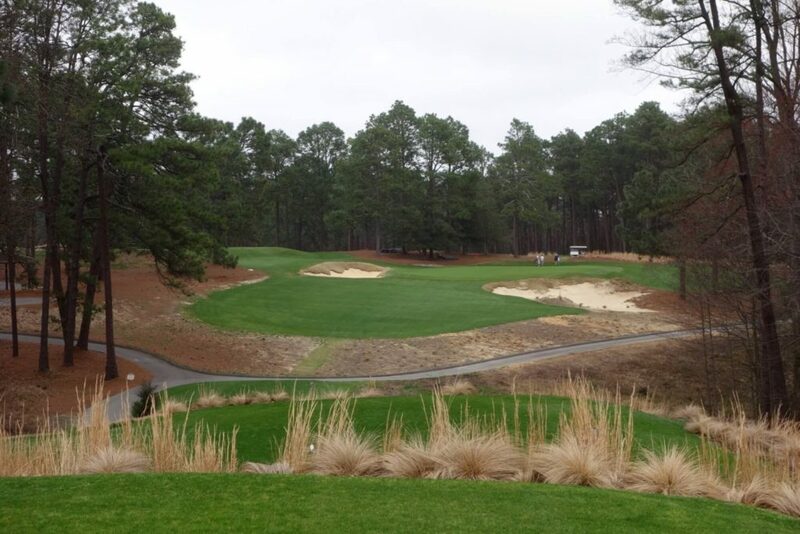 Hole #4 – 382 yards – This is one of my favorite holes on the course. 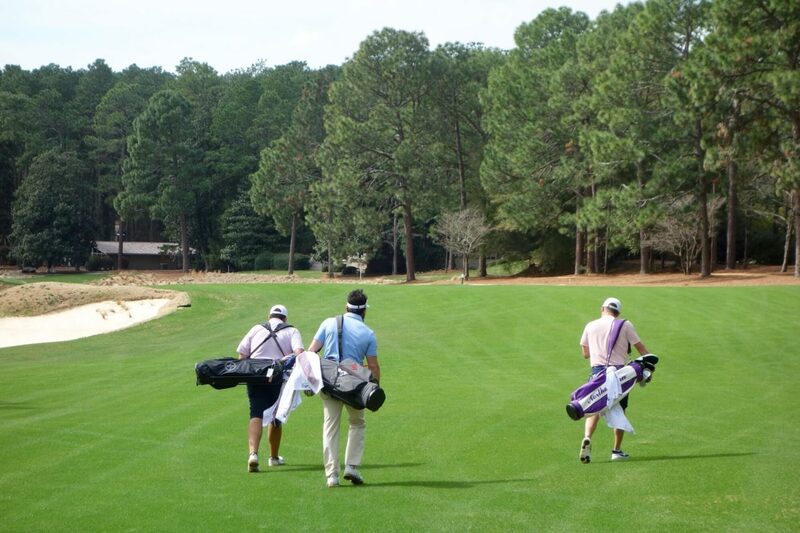 A driver off the tee brings the left bunker into play and also the waste area through the fairway on the right. 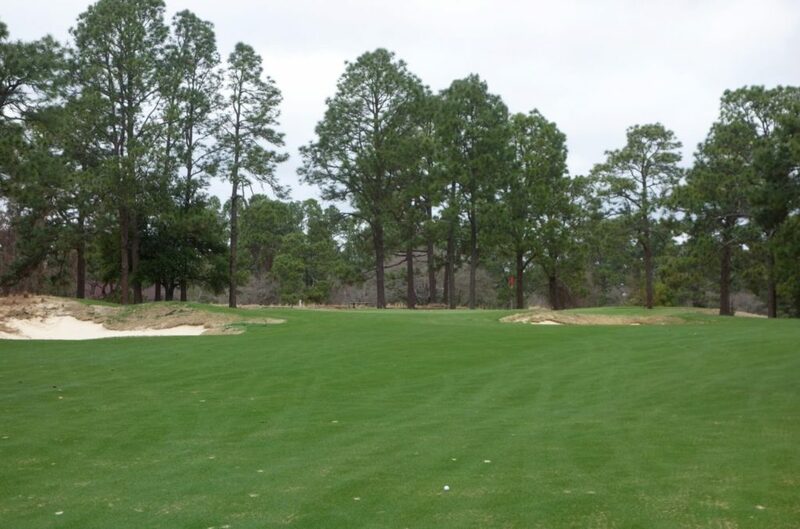 A long iron or wood into the widest part of the fairway leaves a long uphill shot into the green, which is much deeper than it appears. 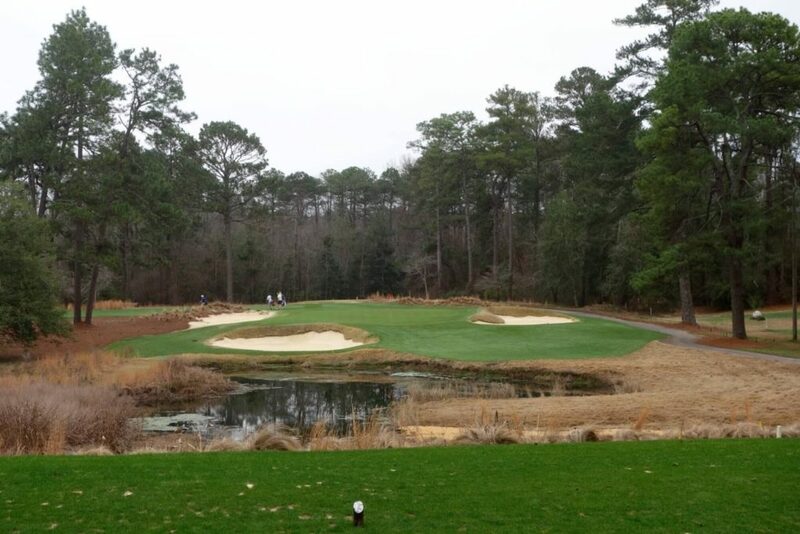 Hole #5 – 181 yards – This tough par 3 can be a real brute depending on the pin position. 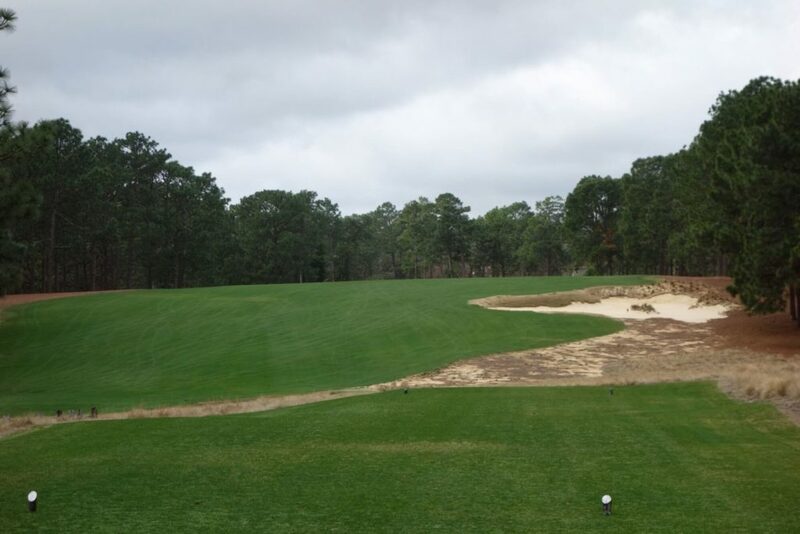 Left is easiest, and right brings the very deep greenside bunker into play. 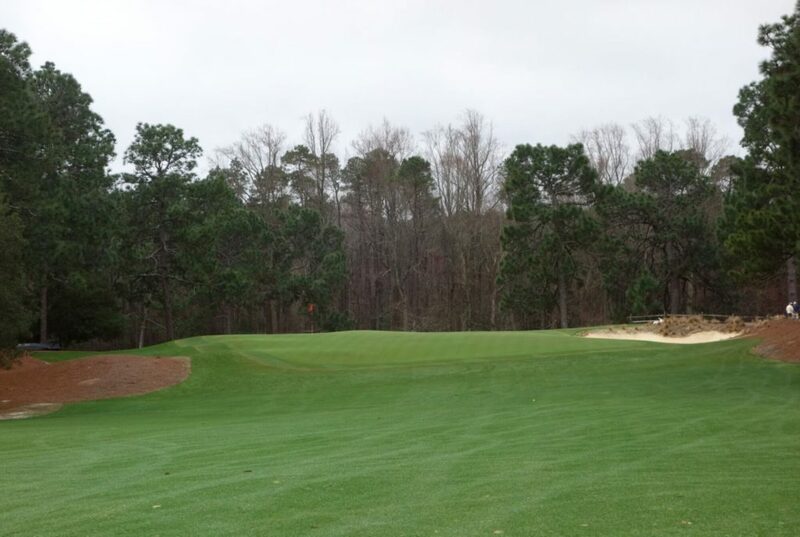 Hole #6 – 411 yards – This tee shot is very similar to the second hole, but the approach shots are different with this green on a hillside flanked by bunkers either side. 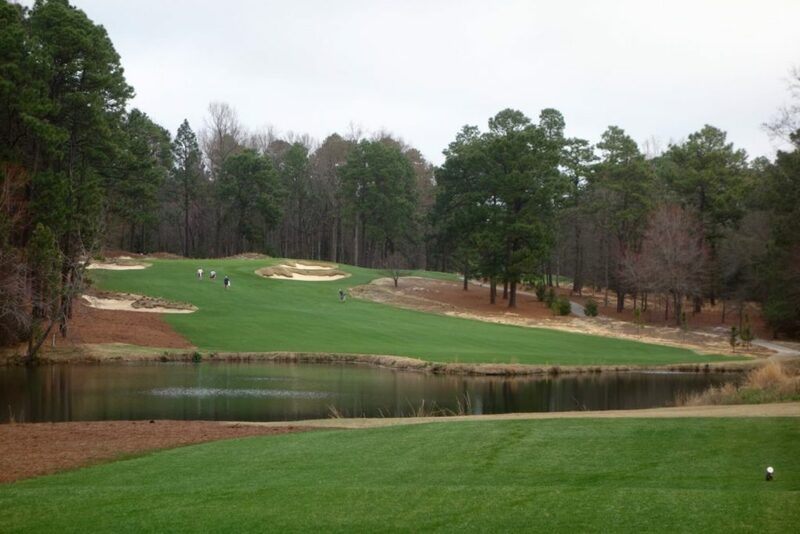 Hole #7 – 407 yards – This tee shot is uphill and right to left, leaving an uphill approach shot to one of the toughest greens on the course. 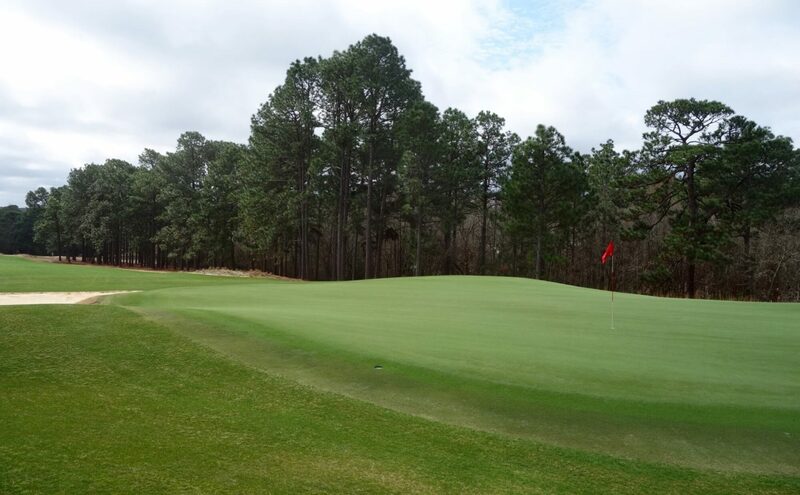 The green spills off the back down a slope and the false front captures anything short… focus on distance control! 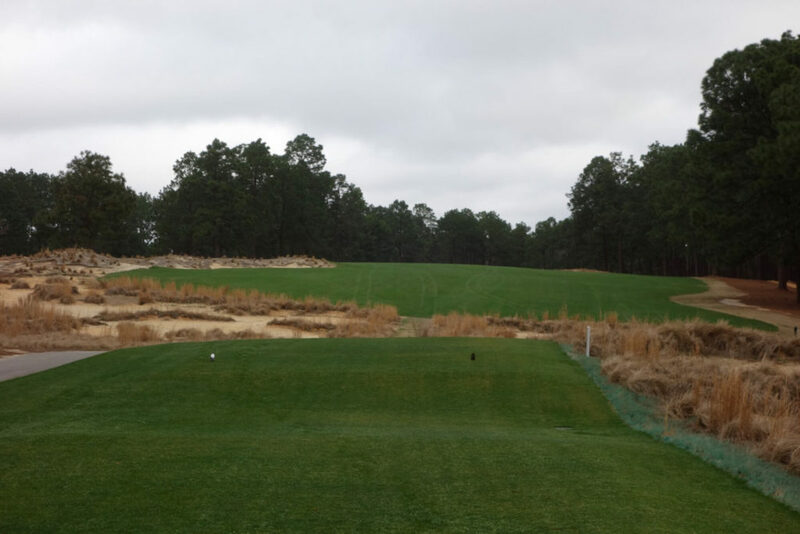 Hole #8 – 353 yards – The angle of the tee box in relation to this fairway turns an otherwise straight hole into a dogleg right. The green sits in a natural bowl surrounded by bunkers, but even then this is a birdie opportunity. 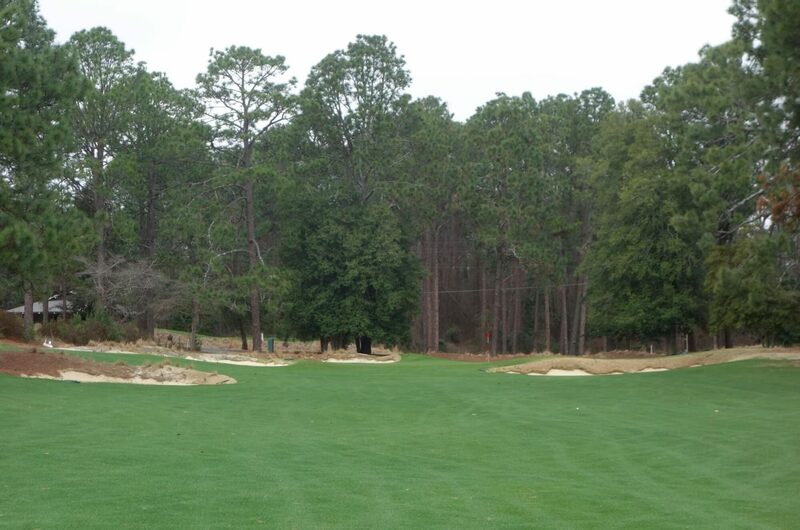 Hole #9 – 371 yards – After a straightforward tee shot, the deep green presents a tough challenge. The deep collection area right of the green subtly encourages a bailout left. 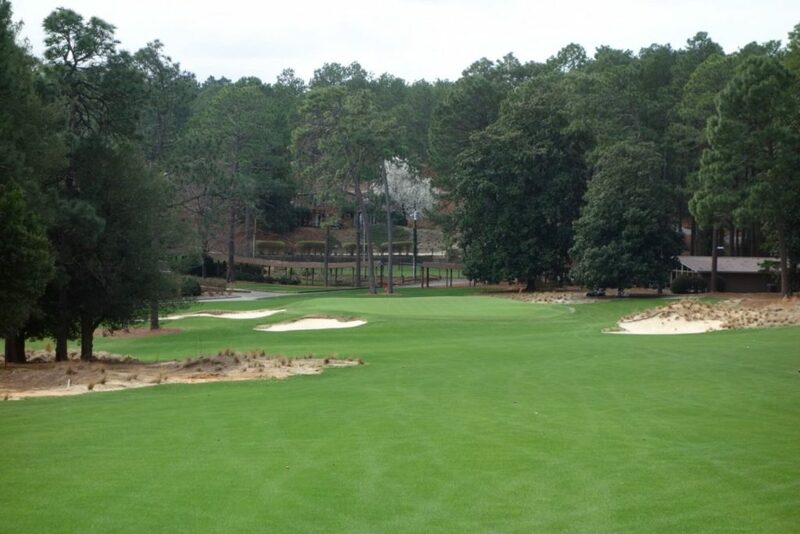 Hole #10 – 482 yards – This is one of the biggest holes on the course in terms of scale. 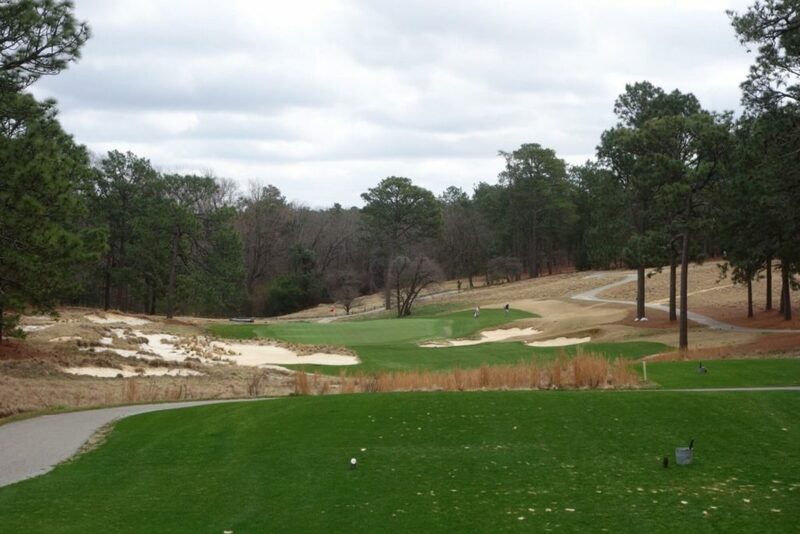 The dogleg left works uphill to the green which is raised and heavily bunkered on the right. Hole #11 – 369 yards – This hole rewards those who lay back and have an approach from the wider, flatter part of the fairway. 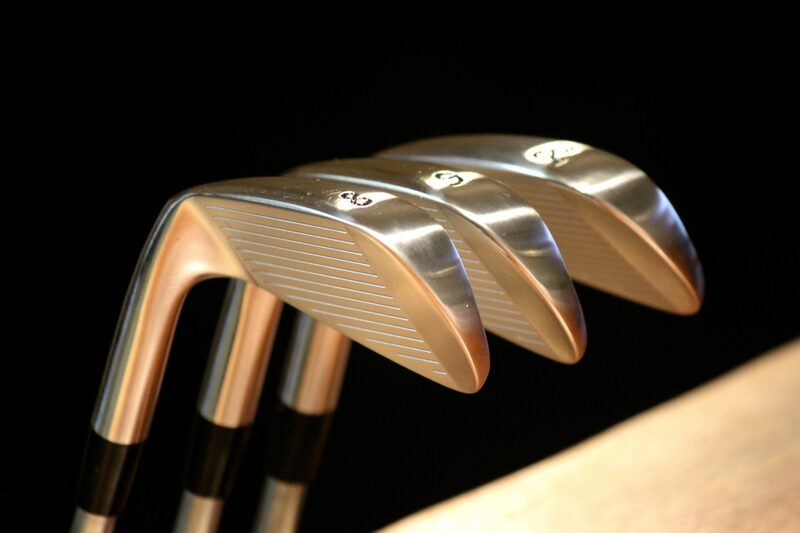 The approach angle is best for those who challenge the right waste area instead of the awkward traversing angle from the left. 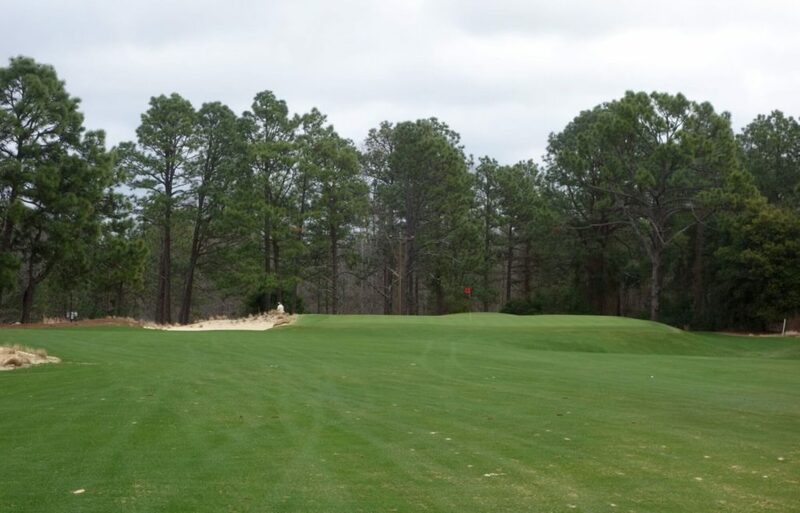 Hole #12 – 350 yards – This par 4 works up and over a hill to a large green. 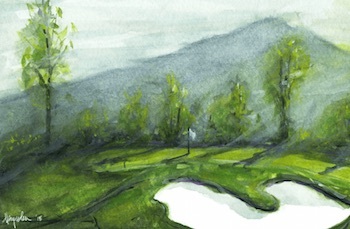 Long hitters who bomb it off the tee are left with an awkward yardage into the green. 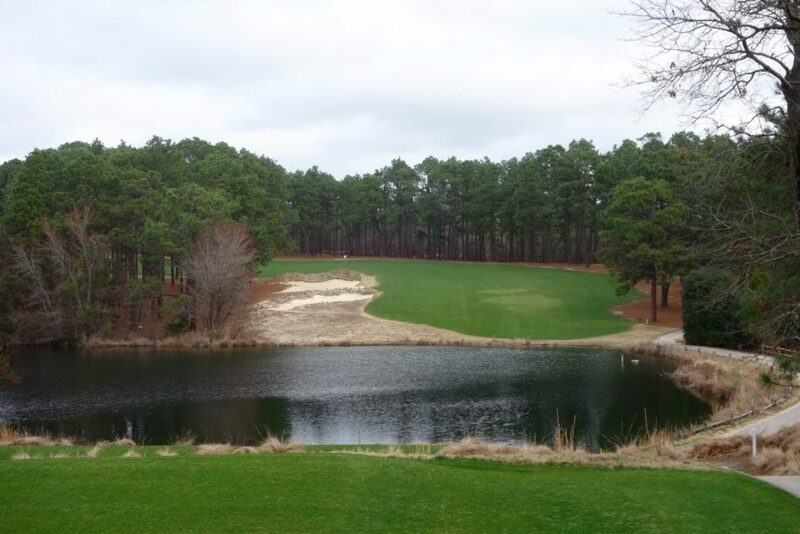 Hole #13 – 181 yards – This is one of the memorable par 3s on the course. 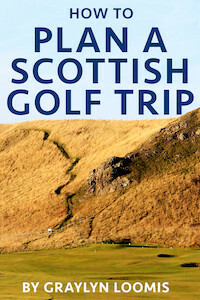 It plays downhill to a long green that’s raised on either side to create a valley down the middle. 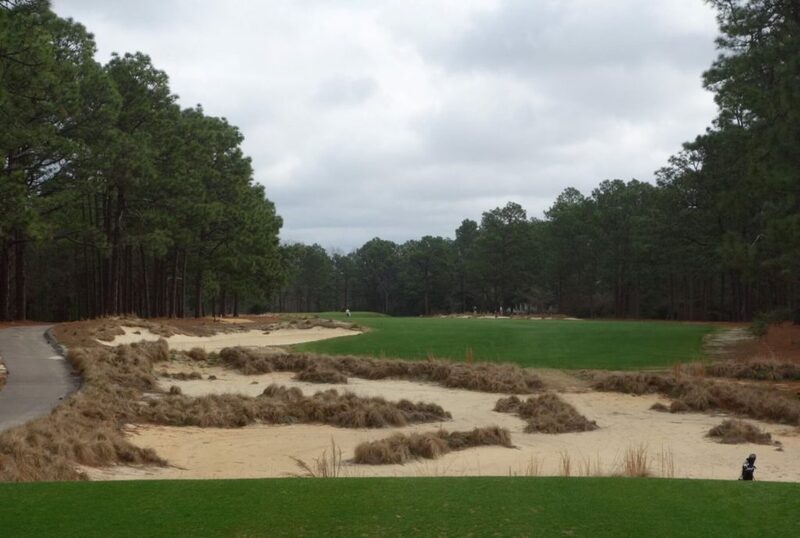 The second photo below shows the green from the side. 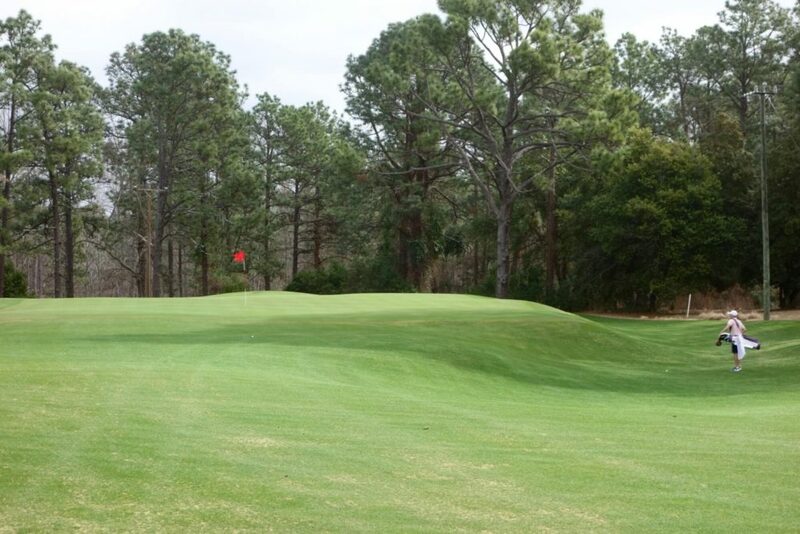 Hole #14 – 402 yards – This is a sharp dogleg right with a slightly uphill approach that hides the green. 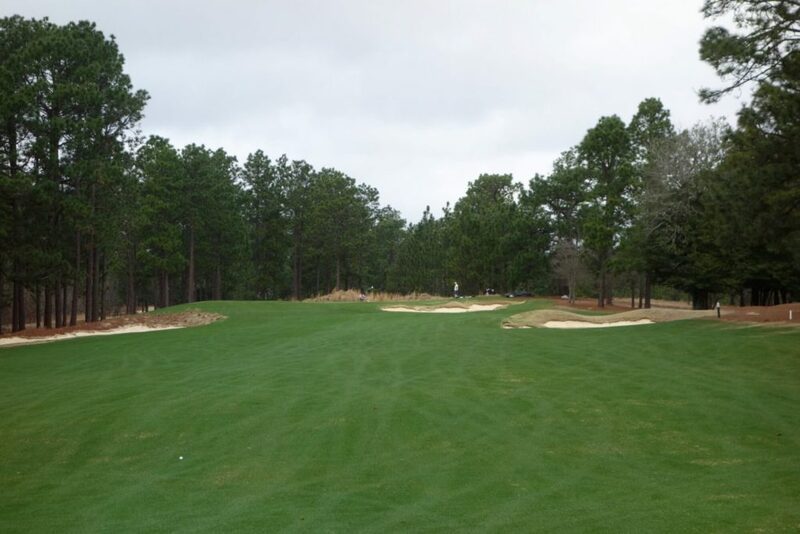 Hole #15 – 485 yards – This flat par 5 plays straightaway with waste areas along either either side. 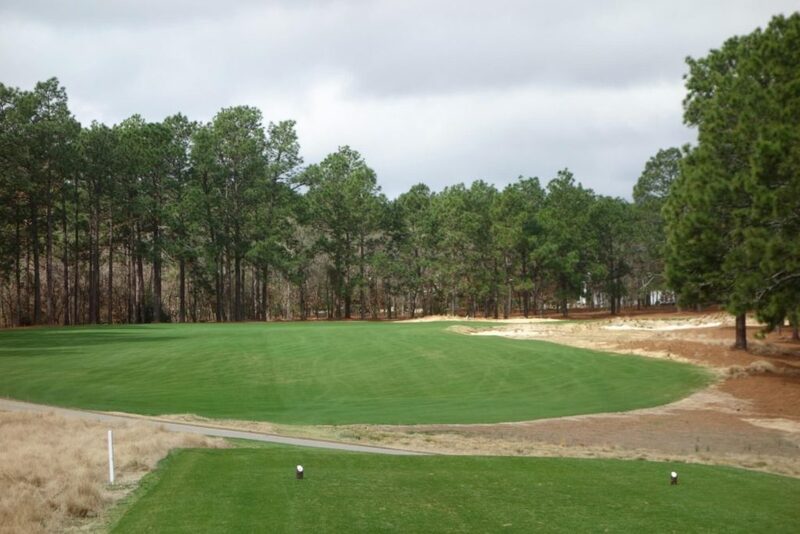 Hole #16 – 169 yards – The size of this green isn’t clear from the tee, but it’s larger than it seems. 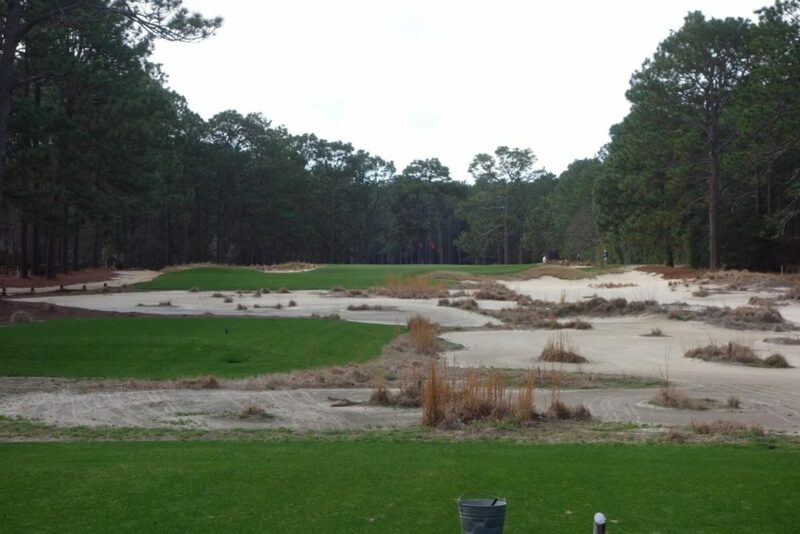 Shallow collection areas protect the green. Hole #17 – 432 yards – This sharp dogleg left is a stern penultimate hole. Driver easily runs through the fairway, but a shorter, safer, club leaves a long approach into the green. Hole #18 – 406 yards – The final hole is another dogleg left that goes downhill to a green framed by the clubhouse and putting green on the left. 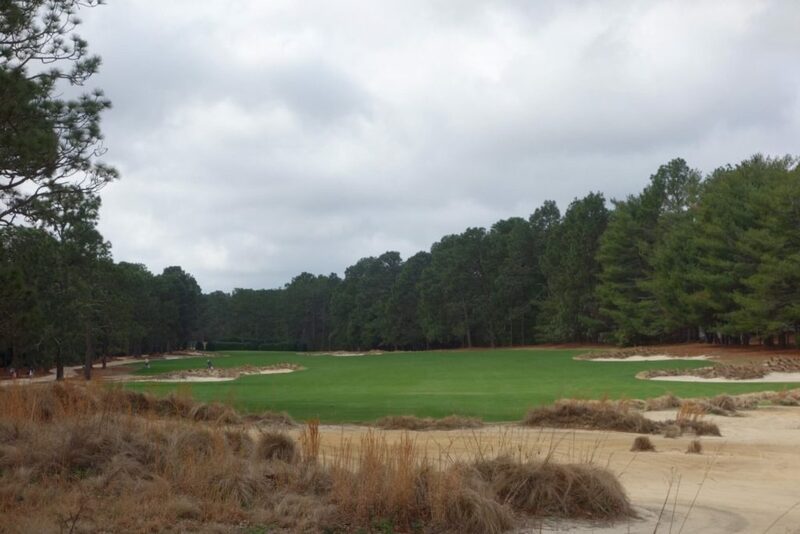 The front right pin is easiest, but I’d expect to see a back left pin on Sunday at the 2022 U.S. Open! 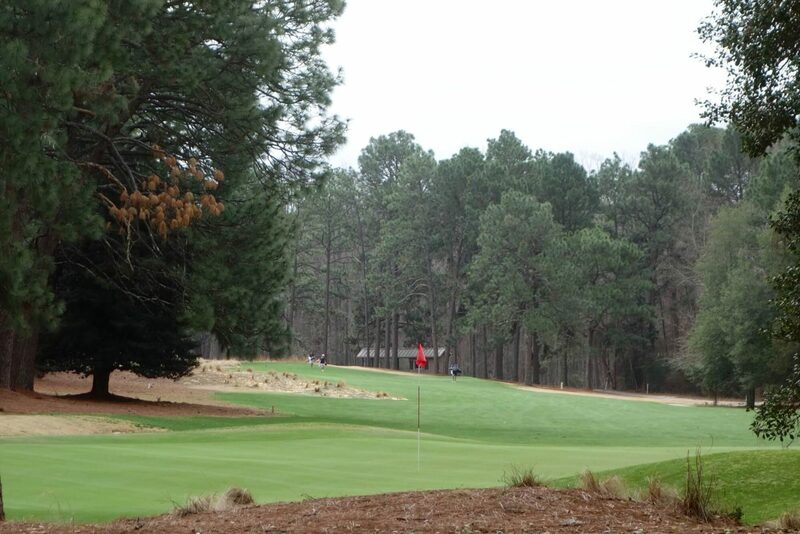 I like Pine Needles more every time I play it. 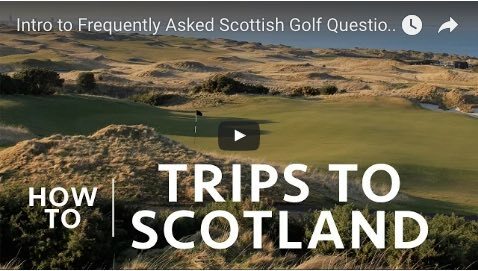 There a few too many similar tee shots for my liking, but you could spent a lifetime learning the nuances of the greens and approach shot strategies. 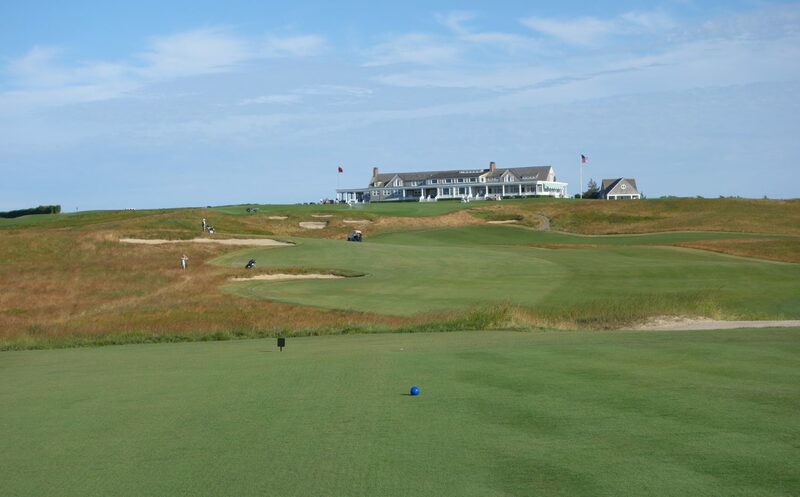 I’ll really enjoy watching the Women’s U.S. Open on the course in 2022—I suspect those extremely accurate and controlled players will enjoy pacing their way around the course. Here’s another way to look at the MP/PN debate. I added my hole-by-hole preferences, and holes I had no preference (whether they were both great, or both middle-of-the road, IMO). The results? Fascinating.